When you make an image, an idea, a perception or a conclusion about someone or something, how often that is overruled by a Single Story? And If I say ‘Single story could be merely an outlet of your single perception, single experience with someone or something or a single story you have heard and seen about it’, will you believe me? Most of the time, before my first lecture in any class, I am regarded as a student myself and the journey of my identity as a teacher only begins once I start lecturing or start my introduction as a lecturer. Why do you think that happens in most of my first classes? May be because we are overwhelmed with the single story about the perception of teacher wrapped in Kurtis or Sari or a middle aged woman with books in hand and glasses on !! A friend of mine from Germany calls Nepali Food as ‘Daal-Bhaat’ instead Daal-Bhaat as one of the Nepali Food. Why do you do think that happened? May be because she stayed in a place where Daal-bhaat has been only served and she didn’t explore enough cuisines around !! We hear a story of a person from another person, make a perception about him or her with the story told to us and treat them accordingly. Does it sound familiar? Why do you think it happens to you? May be because we don’t like to keep ourselves in other’s feet to expand our horizon to multiple stories or may be we made up our mind about someone or something with a single experience we have!! If you said Yes to my most of the ‘question marks’ above, then don’t you think you are under the danger of single story? Now the question is how to get rid of the influence of the SINGLE STORY? We, whoever is working in the social field, strongly advocate the need of ‘NON JUDGEMENTAL ATTITUDE’; but we almost forget that our brain is smarter and faster than we think. When is the last time you decide anything or thought any thought without being judgemental or influenced? When is the last time your brain automatically looked at multiple stories to conclude about something? I know it’s absolutely difficult; it’s difficult to stop brain from being auto-pilot of its thought, difficult to pass judgement or stop reaction in situations, difficult to stop making impression of someone or something instantly? But what if we have multiple stories already? Then, is it really impossible? Learn more about the stories, people, places, beliefs, everything. Just have multiple stories about one single thing. Learn from Books, talk to people, visit to new places but just don’t make a perspective on the basis of single story you make. Let Brain to see the things from the multiple angles. So, next time when someone referred Africa as a country, your brain instantly says: No, it is a continent. 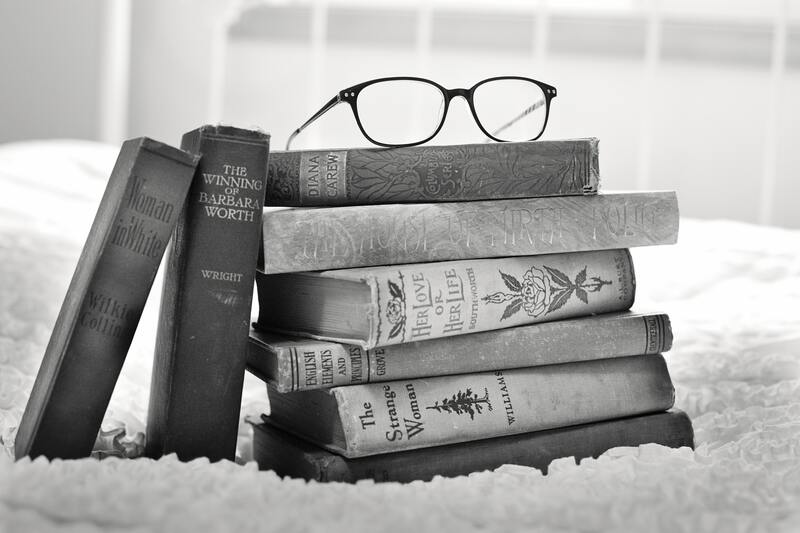 Have you heard the phrase-Reading in between the lines? Do it, literally! We trust explicit information and it’s good to do so, most of the times. But there are also multiple sides of the same story, try to find what it implies then merely believing in the singularity of the explicit meaning. So that next time when someone says something and you hold grudges toward that being, you read the lines in between the expressions, their situations and multiple factors before you jump into the conclusion of that being. Non-Judgmentally Judgemental, Interesting? I know, Right? I never understood this concept when referred by one of my friend, Sujan, until recently when I am trying to explore more on having Multiple stories. As we cannot stop our brain to stop working in its automatic mode instead what we can do is to feed it with multiple stories, perspectives, information, experiences, interactions so that we start giving benefit of doubt to people around, start accepting them the way they are automatically. If we cannot help ourselves being non-judgemental, at least we can accept the fact of ourselves being judgemental and accept the way we are and help our brain with the power of MULTIPLE STORIES. I know its Easier said than Done. I have had my own share of struggle to stop holding grudges and feeling bad about people and situations. I had my own share of instances where many decisions and explanations were done on the basis of single story, I still do that sometimes. 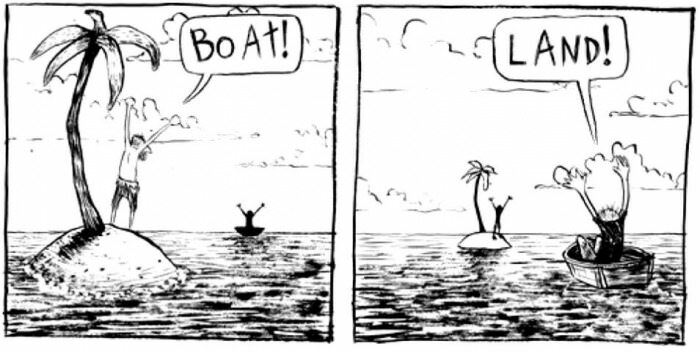 But now, when I have known the power of PERSPECTIVES and MULTIPLE STORIES, it’s much easier for me to be non-judgemental and not get trapped in between the single story to come to the conclusion. I am asked, multiple times: Why are you so nice to people? How can you be so nice to everyone? How can you be so comfortable to be around to the person whom you exactly don’t like in person? 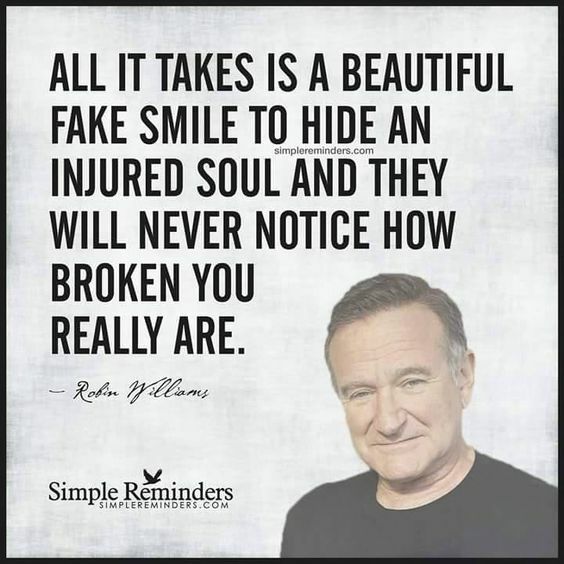 Do you fake it or you are serious about being good to everyone? My answer used to be, most of the time: After all, it’s just a life to live and why to not be nice to everyone. But the UNTOLD answer and my Understated reason (which I share to very few ones) is: I do so, because of my strongest belief in the MULTIPLE Stories; multiple stories of the individuals, situation, places and their actions and belief systems. How can you judge a person with a single story you have of them with a single experience or single information? Trust me, the time you start stopping to get stuck in SINGLE STORY and believing and exploring the MULTIPLE STORIES, you will be a different person. Not just in your relationship, but in the information and perspective you build like in the video I have shared at the end. I wanted to write something related to ‘Perspectives’ for sometime and my exposure to this video during one of the workshop I attended regarding ‘Narrative Approach’ encouraged me to pen down this article. context, World Health Organization is celebrating this year’s World Mental Health Day on October 10, with the theme ‘Young People and Mental Health in a Changing World’. According to World Health Organization , 1 in 6 people are aged 10-19 years whereas mental health conditions account for 16% of the global burden of disease and injury in people aged 10-19 years. Depression is regarded as one of the leading causes of illness and disability among adolescents and suicide is said to be the third leading causes of death in 15-19 years olds globally. Half of all mental health conditions start by 14 years of age and three quarters by mid-20s but most cases are undetected or untreated due to stigma and lack of awareness in such issues. The consequences of not addressing adolescent mental health conditions extend to adulthood, impairing both physical and mental health and limiting opportunities to lead lives in adulthood with good well- being and full potentiality. According to the report of Central Bureau of Statistics (2014), the population of adolescents make about a quarter of total population which stands at about 6.4 million. 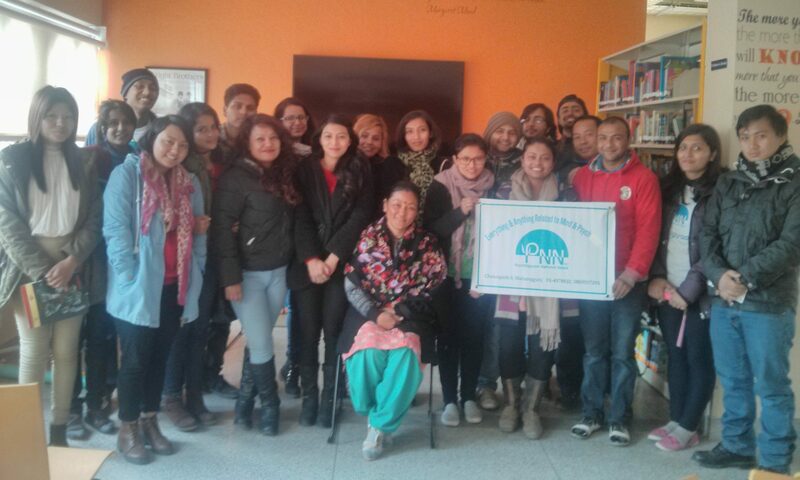 There are several issues that concern Nepali adolescents such as child marriage, child labour, migration, maternal mortality rate, sexual exploitation, trafficking, HIV AIDS , mental health etc . Adolescents in Nepal have huge risks of developing mental illness but the facilities of the treatment haven’t been focused on adolescents mental health solely. WHO ( 2006) reported that among 18 outpatient mental health facilities available in the country none of the health facilities are meant for children and adolescents only. But , in 2015, Kanti Children’s Hospital has opened a child and adolescent mental health outpatient ward to provide psychiatric treatment and psycho social counselling to children under 18 years. The rate of incidence of suicide among adolescents is alarmingly increasing every year. It has been found that suicide rate among adolescents jumped from 5% in 2005 AD to 15.7% in 2009 AD (Mishra, Shrestha, Poudyal, & Mishra, 2013) . Having a mental health issue in the early age of life is not choice or conscious decision, it can be due to environmental or biological reasons. Though we might not control the happening of the mental health condition to a young people but we for sure can prevent its happening or at least deal with the issue in such a way that every mentally ill can live their life with dignity. Firstly and majorly, starting with conversation on such issues will be a help while dealing with adolescent’s mental issues, it will not only help to bring awareness but help adolescent to acknowledge and speak up in the initial phase will help in early detection and treatment. Likewise, making educational institutions, family and community aware and empower to deal with such issues will be another way to help young people live their with full potentially and productivity in this changing world. Central Bureau of Statistics . (2014). Population monograph of Nepal, Volume II. Mishra, N., Shrestha, D., Poudyal, R., & Mishra, P. (2013). Retrospective Study of Suicide Among Children and Young Adults. J. Nepal Paediatr. Soc, 33(2), 110–116. This question is haunting me for a week and it all started when I asked a friend of mine, who is an expert in Psychology: How are you feeling? He clearly seemed to be feeling down and mentally unhealthy. 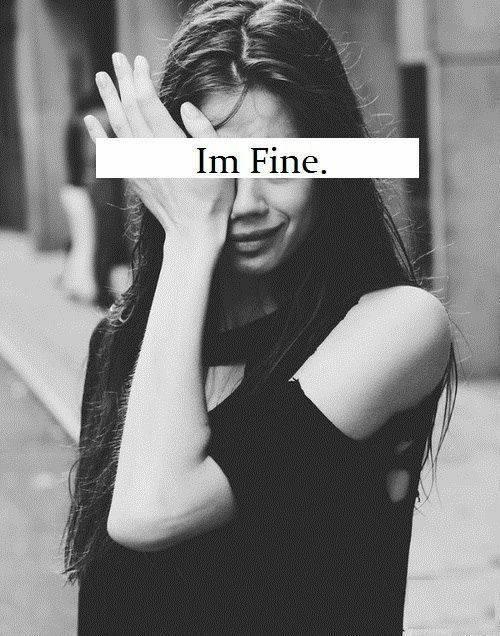 But his – simple reply was ‘All good, I am fine’. I am sure he might not want to share it but my question is: Would he say the same if he had a headache or fever or fractured hand? I am sure, no! When WHO has defined Health as ‘a state of complete physical, mental, and social well-being and not merely the absence of disease or infirmity’; why cannot an individual has a luxury of saying ‘I am not feeling fine’ when they are in a low mood or feeling not good mentally? No matter how much we try to advocate the change in awareness in mental well-being and how much we talk about our Emotional and Mental Health, unless we be true to our mental wellbeing and emphasize as it exactly like of Physical Health, it’s never going to be any different. May be we are focusing so much on being strong and portrayal of Heroic figure or controlling our sadness, we force ourself not to speak up about it. May be we are teaching our kids to look stronger and not show our failures. So next time, if you are feeding your kid with these: make sure to remember: Health is the combination of Physical, Mental and Social-wellbeing and to fully function, you got to feel healthy in every ways. 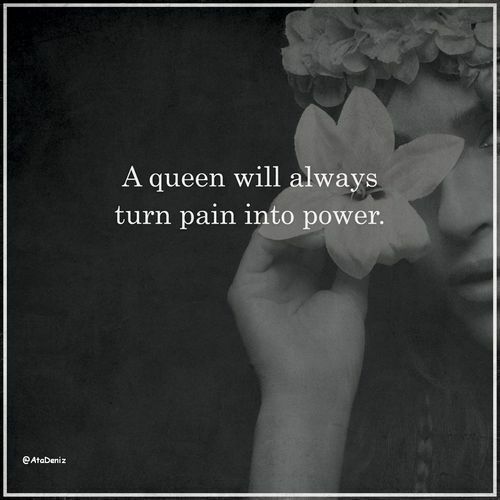 If you are teaching your daughter – ‘Queen will always turn pain into Power’ or ‘Big girls don’t cry’. Stop right there, right then and there. If you feel happy or pleasure or excited or any other pleasant emotion, why cannot you feel suffocated or cry? Negative emotion is just another emotion. Tell them to Let it go, speak it out exactly like what you do with your positive ones. ‘Sometimes all you can do is Chin up, Hold your tears and Move on’. Why should you ever do that if you feel like not doing so? Why can’t you have luxury to feel down and cry it hard if you wish to? Is there any crime in not feeling well, it’s your life and your have every right to feel anything you feel like. Let people know about it and seek help! ‘All’s well that Ends Well (Or, In Hindi: Anta valaa toh sab valla)’. Is it okay to suffer in the journey just with the hope of good end? ‘Cowards Cry (Or, In Nepali: marda rudaina)’. If you are saying so. Seriously? 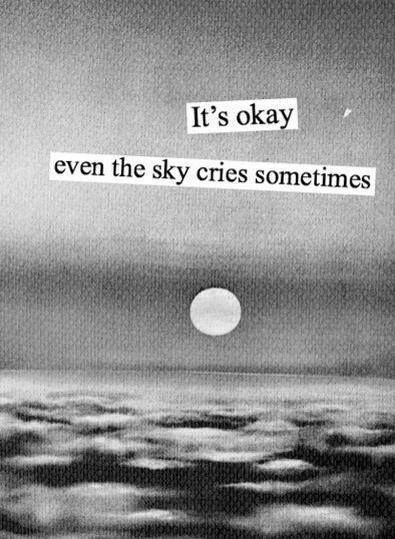 Trust me, It’s okay to feel. You aren’t weak. Don’t let anyone tell you different. ‘Its easiest to Pretend that you don’t care rather than to admit that it’s killing you’. I don’t think so. Pretending is never easy especially the thing you feel. Like John Lennon said my friend ‘One thing you cannot just hide is when you’are crippled inside’. Also pretending does more harm to yourself. Dear friend, the one-liners explaining how should you behave in Public or how should you control your emotions will remain in use in every language, in every culture and in every forms. We are brought up in the culture where expressing sadness or negative emotion is the sign of being coward or lazy or the sign of trying to get away from the reality. But psychological and emotion focused researches explains that being able to feel our feelings actually makes us stronger and more resilient. When we allow ourselves to fully experience our feelings, it actually help us sort out what we really want and think. Feeling helps outlef in a safe and healthy and we are actually less likely to act on them in destructive manner. You can trust on psychological facts and figures that, it’s possible to feel hurt without acting victimized and feel anger without being destructive; it’s possible to feel fear without hiding and feel heartbreak without breaking down. So when next time you are verbally feeding your kid or explaining your friend on how to behave or stop the sad feeling, think back and ask yourself: Would you do the same if he has bodily pain, would you still ask him to suppress the pain and tell him to be stronger? I understand sharing can make one feel worse, but how can you say that without trying?. I am sure sharing your pain, insecurities, fear can be daunting sometimes; and here i am not saying it should be shared to every next person you see; but to the ones whom you trust and most importantly atleast to the counselor if you really want to be helped. Since quoting John Lennon once again: ‘One thing you cannot just hide is – when you’are crippled inside’; so why try it when it’s going to do more harm then benefit, my friend! Say our politics, no matter how many alternative forces are there, we end up voting for the same old party who end up with same old-fashioned tactics of development; Say our mindset, no matter how hard we are optimist about change, we end up following same old traditional beliefs; And say our perspective, have you thought why it doesn’t want to shift no matter how much we are equipped with exposure of information and education?? It’s a tricky thing. After all, change is amazingly hard thing to do. I had been trying to write this article for more than a month or so. I had exam in between and little weary to sit for a while and write. I didn’t want to change from my not-so still heavily felt exam pressure and I rather quitted the idea of writing on this. Because for me, shifting my exam schedule to write-up time was difficult. Many of the times no matter how much we wish, we simply cannot change. Otherwise, why an educated female would carry her sanitary pad inside wrapped paper no matter how much she likes being a girl? Why a husband doesn’t want to do household work no matter how much he would respect his working wife? WHY? We have a wonderful term in Psychology ‘Biasness’ which we like to refer as mental shortcuts which happens and we even don’t realize it happened. That’s where our resistance to change pop up! Let me introduce few of them here. You never know next time when you are under the influence of cognitive bias, you can understand why it just happened and your self-awareness might just be helpful to keep it in balance! 1.Ever thought why we do have ‘Gang of friends’ whom we call ours and just dislike other ‘without a definite reasons’? In-Group Bias happens when we shape ourselves to conform to the group which we most strongly identity. This not only creates solidarity in the group but also increases group’s acceptance of us as members in good standing. This is why we overestimate the power of our group and discount others who don’t identify with us. Next time if you are disliking another class mate of yours without a reason, just try to think why he is discounted. Who knows you are under cognitive influence of your larger group who dislikes him and you are just conforming that with your in-group bias! 2. Have you ever wanted to understand why we keep on snoozing the alarm clock no matter how much we planned to wake up and exercise the last night? Current-Moment Bias is the term social psychologist use to justify this habit of ours. Research says, Most of us want to take pleasure from the current moment, while leaving pain for later. 3.Why do we often see people support to their own political parties or ideologies even though there is clear evidence of their wrong doings? Social Psychologist names this tendency as ‘Confirmation Bias’. This involves favoring information that confirms previously existing beliefs or biases. We seek out to the information that confirms or validate our logic discard the information what doesn’t confirm. Confirmation biases impact how we gather information, but they also influence how we interpret and recall information. This makes us choosy to those information that support our beliefs and discard those that are against our beliefs. 4. In the recent cricket match between Kenya and Nepal, had you felt that Nepal would win a big time and exclaimed ‘ maile bhaneko thiye ni nepalle jitchha! !’’ after Nepal won the match or for the matter in any kind of events or sports? If so, in psychology it is call ‘I-know-it-all-Phonenomenon’, i.e Hindsight Bias. We tend to overestimate what we know without having a base to it. 5. Do you think your friend got the highest mark in her finals because examiner was favoring her because of her handwriting but you got low mark because examiner didn’t know how to check the answer paper correctly? Also, How much you attribute the reason to be situational when your child misbehave and how much you attribute to the parenting style when someone else child misbehave? If you are doing so, you are falling in the hand of ‘Attribution Biasness’. 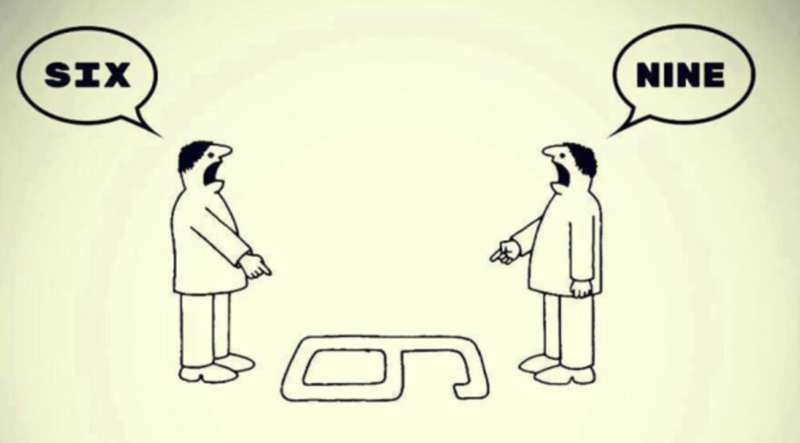 We tend to attribute or give reason to our problems as because of external reason and someone else as their own faults. 6. How often you think your friends think like you with the number of likes in your status? Do you think they are (all of them are) consenting on your way of belief? If so. Give a second thought. We have a tendency to overestimate the degree to which other people agree with our beliefs, values, attitudes and behaviors. This creates a false consensus, which can influence our decisions and behaviors. Social Psychologist calls it False Consensus Effect. And it might be deteriorating for your self-esteem if you keep on overestimating and when actual time comes to act, when not many people support your belief. 7. Does your impression of a candidate being a good public speaker lead you to feel that she is also smart, kind, and hard-working? Does thinking that a particular actor is good-looking also lead you to think that he is a compelling actor? If you are doing so, It is another kind of cognitive bias which psychologist say ‘Halo-Effect’. Next time, when you are choosing whom to vote or which seminar to attend or which teacher to take supervisor, make sure to realize either you are evaluating with one trait or overall impression? 8. Despite the health risks imposed by inactivity and health benefits by doing exercise why many people still prefer to engage in unhealthy behaviors like not exercising or eating fatty foods? We have tendency to refer to immediate past experience to choose the immediate future plans. That is referred to ‘Availability Heuristic’ which is one of the cognitive biases. Our brain is, most of the times, to lazy to give much mental effort to help us out in making plans so it refers to latest immediate happenings as Heuristic (mental shortcuts) to help us in our decision making, which sometimes be detrimental in our decision making. Availability heuristics is greatly increased by the availability of the immediate information we can have. For the above example, it might be the role of media that induces people to engage in availability heuristics. For example its known fact that people die many times more by cancer and diabetes than by accidents and murder. But newspaper and media tends to give more focus to accidents and murder than health issues which makes the issue of health less important than the dangers of murder and accidents. 9. How many of you really believed that 2012 would be the end of the world? You repeat a lie hundreds or thousands of times it becomes the truth. That phenomenon is called the illusion of truth. This is the tactics very often employed by the politicians. And sometimes we might be doing the same thing unknowingly. It creates the illusion of truth which can aid to status quo . Don’t you think we are making many racial/ethnic statements just due to our Illusion of truth. May be! In a nutshell, our cognition is a vast subject to study and think of. These are very few biasness which we call, from psychological lenses, cognitive biasness which we are using in our daily life (even without noticing that we are doing it). This can be detrimental for our fully functioning capability of intellect, decision making and rational thinking. Make sure you are aware of these (and many more if you wish to learn about it. Do it from our Google-Guru or Psychology Books) in your day to day life. It can save many things- your effort, your relation and your rationality! Last week my brother sent me a packet of ‘ Hershey’s Kisses’ and I finished 100 choco-pieces in just two days all alone. No matter how I want NOT to crunch it one after another, I was indulged in the packet completely. My mind wanted me to stop crunching while my taste bud wanted to have them all at the time. I was feeling satiated with my choco-love at the same time feeling strong distaste toward my craving. How can that happen? Was it my guilty pleasure? May be…Yes! And I am pretty sure many of us have our own set of guilty pleasures. And we love them, don’t we? My love for chocolates and brownies; My best friend love for scrolling twitter all the time; My another friend attachment with couch and TV, my another colleague love of shopping are few of the pleasures that we feel guilty about after our long indulgence. BUT STILL Why we do what we don’t like to do? Have you ever thought about it? Psychology gives a lot of attributions for this. It says habits like this develop due to Low Self-Esteem or due to lack of internal motivation, due to lack of your will or due to your faulty learning. So damaged is already done! We already have our pleasure which we feel guilty at the end. So, let’s work on together towards this for now. Firstly, GUILTY PLEASURE IS GUILTY. Let’s ADMIT IT! I love the word ‘Guilty Pleasure’ but I doubt it’s meaning sometimes. How can something be ‘Guilty’ and ‘Pleasurable’ at the same time. If it’s pleasure, don’t hide it. If it’s comforting you, if it calms you, set a time for the pleasures. Schedule and Indulge in it. But if it is ‘Guilt’, it’s going to give you guilt no matter what. Accept it. For example, you find twitter a ‘Guilty Pleasure’. You spend 5 hours a day in twitter. Every time you use it-get pleasure and later feel guilt about it, where will it take? Nowhere! First realize what is more important to you, getting pleasure from twitter or you being guilty having wasting time in social media? Don’t lie to yourself. And Separate GUILT and PLEASURE. It should work. Secondly, dilute your guilty pleasure with other forms. If you indulge in brownie like I do. Make Brownie your ‘Reward’. Every time you eat healthy for a month or get your work accomplished, give yourself a point as a ‘Brownie’. Here your pleasure won’t be guilt; it’s a diluted and became reward now. Third, Have a friend to Monitor. Why Guilty Pleasures are guilty? Because we feel guilty after the pleasure, exactly like I did after my 100 pieces of choco-crunching; I didn’t tell my mom about it. I felt guilt for bingeing unhealthy. Rather If I had my mom to monitor my unhealthy binge, I would have those chocolates eaten for a week not in two days. Likewise, share with your friend the trouble you are having and let them help you make schedule or monitor your pleasures which you feel guilty about. Lastly, Consciously Jot down all your ‘Guilty Pleasures’ and Watch out! Make sure you have your lists of thing that you feel like doing but feel bad about after doing them. Make sure you understand it’s the guilt because they are harmful or negative or deteriorating for you; not because somebody say so. If you think you feel good and healthy in your skin, you don’t need to validate the society which thinks skinner are beautiful by giving up your pleasure of indulging in healthy food. But if you think too much of shopping is not about validation but about your internal will, watch out. Make shopping schedule, try to buy it for purpose. If something is being addictive. Try to seek help from your friend or may be professional. But if your pleasures are manageable, do it by yourself. Just make sure to list out them all and rank them in order of Goodness and Necessity. You shouldn’t feel guilty about if it gives you pleasure. It’s either PLEASURE or GUILT. If it’s pleasure, you don’t need to validate the society or do not need to try to fit in if you don’t feel like. But, if that is ‘GUILT’, make sure you understand the consequences and try to work on this rather than being guilty about it and doing nothing. Now, In a Nutsell, my choco-love is my pleasure which I enjoy and which I am not giving up on. But me gulping ‘100 Pieces of chocolates’ just in two days is the GUILT. It’s not healthy and I will make sure to dilute my guilt in other forms now onwards. Do you know how movie can go wrong? (From my Perspective) Either when story writers over-write or under-write the story or when characters overdo or underdo the act; But the movie ‘DEAR ZINDAGI’ is no way around this. It’s a perfect mixture of good write up and amazing character portrayal by Kaira (Alia Bhatt), Dr. Khan (SRK) and all other characters complimenting them. I haven’t watched Hindi movie quite for a while and always have been complaining about the ‘impact’ of movie leaving on heart and mind, especially Hindi Block-Busters. And even while wanting to watch this movie when many of my friends in social media were expressing good things on the movie, my main concerns were – Has ‘Dear Zindagi’ seriously shown the essence of ‘Need of Mental Health’ without over-doing it? Has the movie really depicted what has to be depicted in the relationship between ‘client-therapist’? And the answer after watching is: Yes. It has. Be it Dr. Khan knowing where to stop regarding the therapy session or him wanting Kaira to sort out her problems herself; Be it Kaira denying her condition at first or finding solution to her un-answered dream by herself. The sessions were perfect as per the psychological knowledge I have. And in one of the point, when the maid was told ‘Therapist should be consulted when we have complication in life when we cannot solve by ourselves’. She says: ‘Then all of us should go in therapy, no?’. This was my major highlight in the movie. How beautifully the movie has tried to de-stigmatise the ‘MENTAL CONDITION’ and remove the taboo associated to it. How simply it said- we all have complications at times, just that if we cannot handle it by our self in fair amount of time, going to therapy/counsellors works, as simple as that! And here, the IMPACT the movie left on the people who enjoyed the plot seem to be amazing. The portrayal of character by Kaira is perfect. The urban girl who wants to get everything she deserves, who wants to be judged by her talent, who is pissed off by her family for some reasons (which was hidden till the end). An ambitious and fun loving girl who mostly surrounded by friends was no way thought of having Mental Condition. This is what is happening in our fast-moving world. We ignore the signs most of the time and do not give emphasis what our mind is trying to tell us. The portrayal of Character of Dr. Khan is another highlight. How wonderfully he studied the posture, rules, and sessions of ‘therapy’ which is seen in movie in his character. If you are not the fan of SKR stretching his arms around the girl like me, you will be impressed with the amount of patience and charm and for sure genuineness he brought in the character in this movie. Sometimes the persona of Shah Rukh Khan overdoes the portrayal of the therapist but you can discount that if you take his role in a wholesome. Likewise, Different Character of Families, friends fit the plot. Dear Zindagi is obviously not a commercial movie and also as first half seems to be ‘little’ lengthy, so it might be a not so good watch for some people; but for somebody like me it’s a beautiful watch. Also also if you love self help books and self-help therapy sessions, this might be an interesting watch for sure. I give 4 and Half Star for the movie as a reviewer. And being a Psychology student who is working on this field for quite some time and who can understand the impact movie might be leaving if it has not shown the ‘Mental Health in Such a Simple Way’, I give the plot and story writer 5 on 5. Thanks for bringing the issue in highlight and making people feel that ‘Mental Health’ is exactly like your physical one. If you are going to doctor for your headache then why not visit counsellor or therapist for your sleeplessness. Here are few of the lines which are marked in my memory after the watch today. Hope these will complete my first movie review. ‘Why complicate your life for no reason when you can perfectly live the life you want in simpler ways’. Geniuses are those who have ‘Patience’ to wait till you get the answer of your questions. And Geniuses are not those who started, they are the ones who knows when to stop! Why cannot you untie the knot from your past for the better future. We are the teachers of the school of our life. Do not let your past blackmail the present to ruin your beautiful future. Therapist/Counsellors are like jigsaw puzzle who helps in finding the fitting puzzles, we are the one who should complete it with the help of those puzzles and with own determination. And since as the last point says- which is one of my favorite as well, next time when you feel incomplete, when you feel down, when you feel suffocated and when you feel mentally unstable for sometime, why not find ‘JIGSAW PUZZLE’ and take help to complete the puzzled life. As Simple as that. Now, tell me, do you still think going to ‘Therapy or Counsellings’ or having ‘Psychologist/Mental Health Workers’ working with you as a taboo or something that has to be hidden?